HORIBA MIRA’s comprehensive Safety Systems Engineering services provide a one-stop shop for safety testing. Automotive manufacturers can ensure their most unique and advanced vehicle developments meet the most extensive safety criteria, via HORIBA MIRA’s expert teams and advanced facilities. 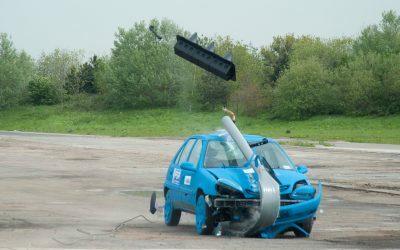 This includes all elements of crash testing, active and passive safety, EMC, functional safety, vehicle resilience (VRES) testing, and cybersecurity. Such extensive services are made possible thanks to our 750-acre proving ground with 95km of circuits and extensive test facilities, complemented by research and development at the MIRA Technology Park. Customers are able to set up base on site to make the most of all the engineering expertise and testing capabilities their projects require, while overcoming all validation and certification barriers. Get in touch to discuss any aspects of safety testing with our team. You’ll soon realise why our capabilities are sourced by companies worldwide. 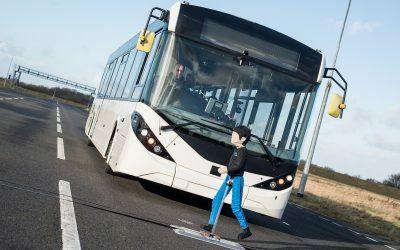 Ongoing investment continues to enhance vehicle engineering potential, as does the capacity to answer more and more safety questions, via simulation. 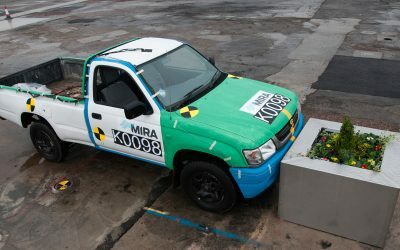 HORIBA MIRA remains at the forefront of ensuring that vehicle safety keeps up with an extensive range of new questions being asked, as new technologies merge to bring more connected and autonomous vehicles to market. Also experts in Highway Safety and Hostile Vehicle Mitigation, you can find out more about our specialist areas below.